I know updates have been too-infrequent of late… I’ve had to take on extra work hours due to recent medical expenses involving my cat (you can read about her progress here, but I’ll otherwise keep personal news separate from Hugonuts).Also, backing up all my older entries and photos (at Hugonuts Photo Archive) has taken more time than expected, though it desperately needs doing. 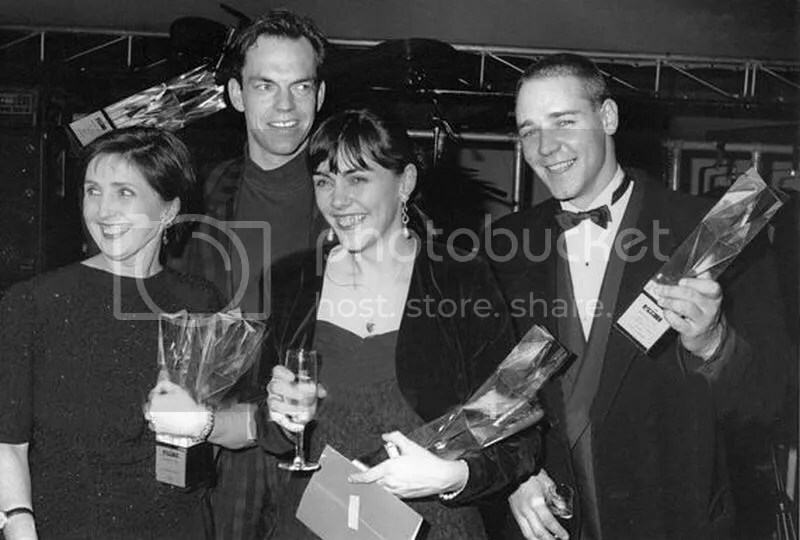 Then there’s my ongoing posting of Hugo Weaving pics to Twitter, most of which require extensive “cleaning” of some sort. 😉 Photo sites might be less obstinate on this issue if fans made a habit of properly crediting source sites and photographers when reposting, something I always take pains to do .. I was as lax in this department as any “newbie” fan for the first few years, and in consequence my earliest archived photos are in a shambles and I’m spending hours tracking down credit info I should have been including all along. Anyhow, though Hugo hasn’t made many public appearances of late, he has been busy working on The Dressmaker (in and around Melbourne– the Victoria set is in a “secret location” to deter fan disruption, though most Hugo fans I know would never be so gauche as to crash one of his film sets.) 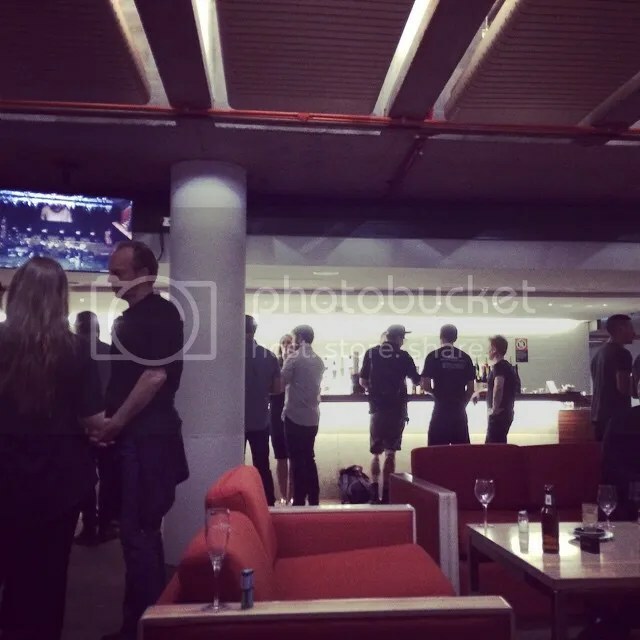 😉 He has been spotted at Sydney-area events (and photographed at least once) so his presence hasn’t been constantly required on the set– after those strenuous months of performing Macbeth every night, he is owed a more relaxed schedule. He’s also scheduled to attend at least two promotional screenings and Q&A events for The Mule, which is released 21 November in both the US and Australia, mostly via streaming platforms, though a DVD should follow soon. I’ll post the film’s trailer again, because it’s well worth repeat viewings, and because eOne ANZ has a peculiar, annoying habit of removing content then reposting it in different locations, ie breaking embed links. 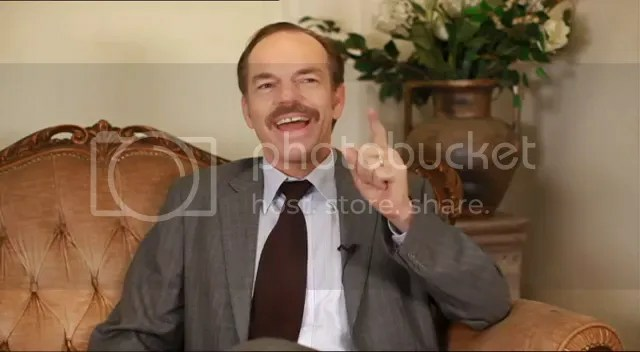 They already took down the 1983 clip from its original YouTube location after I went through the trouble of cross-posting it (and links to it) in several locations, which I THOUGHT was the point. If fans are just trying to help promote the film via social media and blogs, it helps to have promotional content consistently in place. Just sayin’. 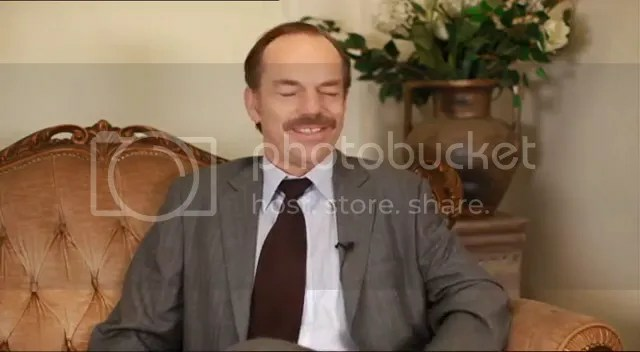 And here are some of my screencaps from the two most recent video promos; apologies for some being lo-res; the 1983 promo clip is so far only available in grainy standard def. I hope the film’s marketers will share an HD version as the film nears release. Angus Sampson and the film’s creative team have already done a batch of recent press interviews to promote the film’s general release, as well as attending festival screenings at the Philadelphia Film Festival on Oct 21 and 25. (I would definitely have gone if not in such dire straits financially, though people lucky enough to attend have been very generous with info about the Mule’s screenings and the rest of the PFF, which featured a lot of my favorite directors and actors.) At any rate most interviews are very encouraging, suggesting the film is much smarter than the average bodily function comedy or shocker. Perhaps the best (apart from the 1983 clip) can be read at Vice UK, featuring Sampson’s comments about the film’s less bathroom-oriented cultural and class themes. The fact that Hugo seems more enthusiastic-bordering-on-gleeful than I’ve seen him in behind the scenes interviews on any project should also give fans confidence that there’s more going on here than Adam Sandler-level poo jokes highlighting the distinct difference between being genuinely subversive and merely a crass gross-out. Sampson was also interviewed–over lunch!– about the film by The Sydney Morning Herald. Angus Sampson gave a video interview at another recent screening, this time for the Australian Film Institue’s AACTA Awards screenings in Sydney. You can also stream their interview with Noni Hazelhurst. Another brilliant quote/illustration via the film’s Twitter feed… keep ’em coming! The Guardian included The Mule and its cinema-skirting, direct-to-consumer release strategy amid an otherwise-grim assessment of the Australian film industry. (An unfortunate, bordering on cliched treatise echoing perhaps EVERY assssment of said film industry SINCE the much vaunted Priscilla-and-Muriel heyday of 1994. Never mind that Australian films remain excellent and frequently deserve cinema screens more often than the juvenile US trash replacing them. The Dendy Cinemas Newtown/Sydney screening and Q&A is scheduled for 19 November at 6.30. Tickets are available here. The Melbourne Cinema Nova screening and Q&A is scheduled for 18 November at 6.30, and you can buy tickets here. 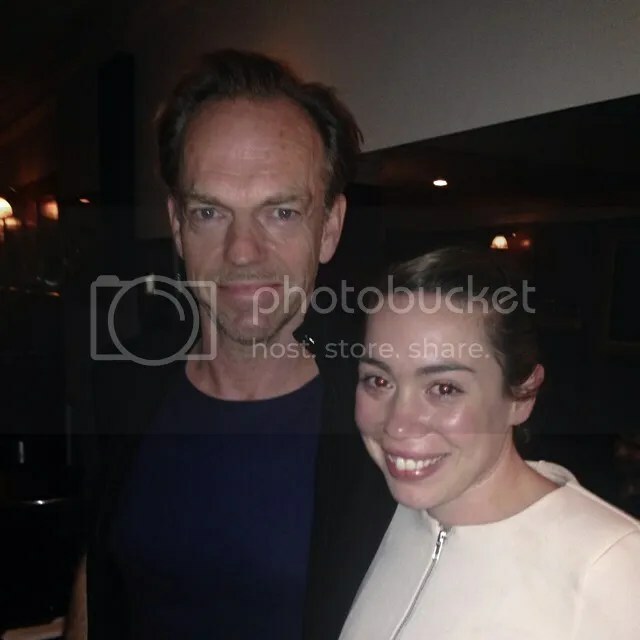 Hugo Weaving and Angus Sampson will be present at both events along with other guests to be announced. So far only iTunes is taking pre-orders for The Mule, which one may purchase in both HD and standard versions. Both the US and Australian versions of iTunes are accepting orders, but they won’t let you order outside of your own country (why, exactly, if we’re paying?) So be sure you have the correct link. I’ll update with additional streaming/purchase options as soon as they’re announced. Most of Hugo’s recent Australian films have played cable On Demand in the US, so I’d guess The Mule will to, with both rental and purchase options. Australian fans should try to mak,e one of the cinema screenings, though, especially since Hugo will be there with Whannell and Sampson, and other to-be-named cast members. You can read recent reviews for The Mule at The Digital Fix and filmgarmott. 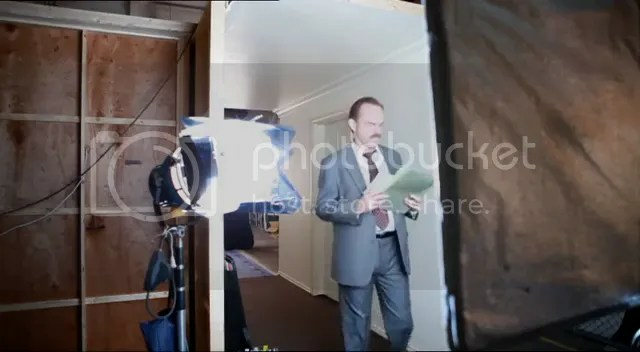 The filmmakers released their first newsletter from the set (written by producer Sue Maslin) on 16 October as production kicked off. (you can sign up via the official website or just follow them on Twitter for online links). You can read the full entry here, but here are some highlights: “The past few weeks have been filled with cast rehearsals, costume fittings, makeup trials, and camera tests. Twenty-five gowns and outfits have been designed by Marion Boyce for Tilly alone and have all been hand-sewn by her exceptional team…. Several images on/from the set have appeared on the film’s Facebook page, though none feature cast members. You can read variations on the press release announcing the start of filming (and recasting of two roles– Isla Fisher and Elizabeth Debicki were replaced by Sacha Horler and Sarah Snook, respectively) at Screen Daily, Inside Film, FilmInk, OzEmag, Urban Cinefile, The Australian, The Herald Sun and SBS. David Hirschfelder was announced as the film’s composer. Since then things have been fairly quiet (as I assume they’re busy filming), with only a few unauthorized paparazzi shots of Kate Winslet and Judy Davis emerging. The official website and Facebook banner have updated to include Hugo, though, so I’m not complaining. I sort of prefer NOT knowing too much about a film this early, and have somehow held off on ordering Rosalie Ham’s novel… mostly because international shipping prices are exorbitant and it seems to be out of print in the US. I know I won’t be able to resist the book forever, but maybe… just maybe… this’ll be the Hugo film with a literary tie-in I haven’t read before seeing the film. Tim Winton’s The Turning will have a month of screenings at the Danske Filminstituten through November. It was politely received at the BFI London Film Fest earlier this month, though it didn’t get the attention The Mule did. Mystery Road has been generally well-reviewed in its US/UK DVD/Blu-Ray/Streamin/On Demand release. You can read recent reviews at High Def Standard, Buddies In The Saddle, Cine-Vue, Rob Smith/Letterbox DVD, BoxOfficeBuz, The film continues to receive arthouse screenings throughout the UK, which I’ll repost to my Twitter account (sidebar if you’re reading WP) as they’re announced. Unfortunately, the film’s US distributor has been a real let-down on offering any cinema distribution even to arthouses and second run/indie/college venues. This is a film that really deserves a big-screen presentation, and not all of us can afford 80″ surround-sound HD set-ups. Also… I’m old fashioned in that I actually enjoy chatting about and sitting there in the dark with other film fans. 😉 Also: Film3Sixty’s interview with director Ivan Sen has been re-posted and remains worth a read if you missed it earlier. The Guardian interviewed the much-in-demand Luke Mullins in advance of his reprisal of Lucky in Sydney Theatre Co’s acclaimed production of Waiting For Godot, which will be restaged at London’s Barbican next year. (Another of Hugo and Richard’s costars in Godot, Philip Quast, recently appeared in a Lincoln Center revival of Stephen Sodheim’s Sweeney Todd, which was nationally broadcast in the US on PBS. He portrayed the lecherous Judge Turpin). I’ll also embed Axiom Film’s wonderful little promo short released in conjunction with the UK release (and subsequent DVD issue) which I know I’ve shared before, but c’mon. Can you say no to this smile? 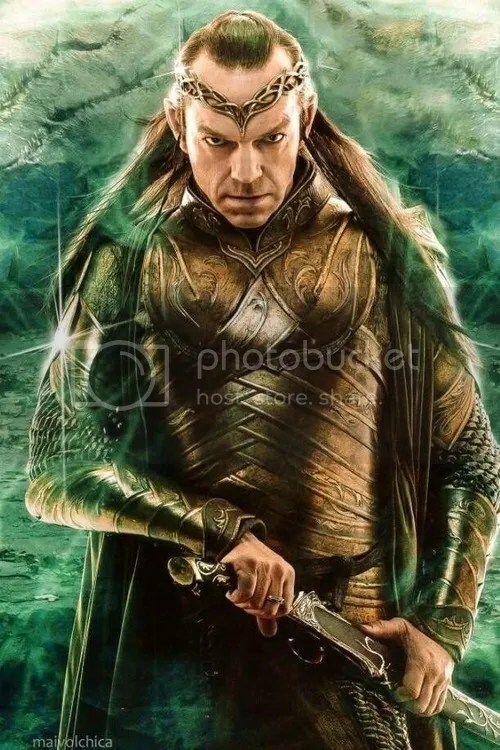 We finally have a few stills/illustrations of Hugo Weaving’s Elrond in The Hobbit: The Battle of Five Armies, though they aren’t official promotional images. (In at least one case, Warmer Bros threatened TheOneRing.net (!) over scanned images from a forthcoming book on the film.) They are very similar; the first is taken from a 2015 calendar, the second is a film still first seen in Brian Sibley’s book The Battle of the Five Armies Visual Companion and Official Movie Guide, but which has been disseminated all over the internet in various versions, which makes me feel a little less nervous about posting it. Frankly, the way Warner’s has repeatedly snubbed Hugo fans (even freakin’ Azog The Defiler got a promo poster) they owe us one. via Danilo, selling the UK version of the calendar. In non-Hugo (but welcome) news, it’s been announced that LOTR favorite Bily Boyd (whose character Pippin isn’t born yet in The Hobbit) will compose and sing the end-credits song for the film. More about that in Paste. Flicks and Bits shared some conceptual images and one of Peter Jackson’s sketches of the titular battle, taken from the current issue of Entertainment Weekly. No word yet on an official trailer or any additional Production Diary videos with only a couple of months to go before the film’s release. Healing will have its first US screenings in awhile at the Fort Lauderdale International Film Fest on November 14, 15 and 19, tickets are available at the festival’s website. Another festival I’ll have to miss, alas. First, Sorry I've been slow to update, though I try to check in at least briefly via Twitter each day… I've had a chaotic schedule lately due to increased work hours to mitigate a lot of personal expenses I hadn't anticipated. (Friends can keep up with Carmelita updates on Twitter; I won't get into that here as it's not fandom-related.) I often feel my location and recent work hours leave me feeling perpetually out of the loop as far as Hugo News goes, but I'll try to catch up as much a possible now. First up is a bit of casting news. 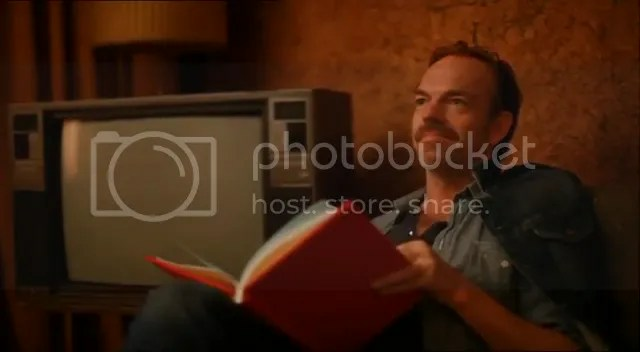 Longtime fans will remember Proof (1991) as Hugo Weaving's cinematic breakthrough. It played a similar role in Russell Crowe's career. The film won both actors their first major awards (AFIs for Best Actor and Supporting actor, respectively) and international attention. The film was written and directed by Jocelyn Moorhouse, a talented newcomer whose career then hit a series of undeserved snags. At the time Proof was released she mentioned she was planning another Australian indie, but this never materialized. (Any fans of Australian film and directors out there will have heard this story before. Did I just hear Craig Monahan sigh sympathetically?) 😉 She tried her luck in Hollywood in the mid-90s with How to Make An American Quilt and A Thousand Acres, both projects beset by studio interference and poor marketing despite worthy casts and intentions. And some of you will remember the foundering of what was to be her Australian comeback, Eucalyptus in 2005. Based on Murray Bail's novel, the film would have reunited Moorhouse with Weaving and Russell Crowe, who were to play suitors vying for the hand of Nicole Kidman's sheltered heroine. That film got as far as the production stage before Crowe essentially shut everything down (he also exec-produced) because he was unhappy with the script. There was controversy in the Australian press over the incident, as Hugo and Nicole sided with their director over Crowe, with Weaving taking the most heat for his directly critical assessment of the film's demise. (He told The Daily Telegraph: "I don't believe the script needed work at all, and it was my understanding that no one else [but Crowe] had major problems with the script. On the contrary, it was [Moorhouse's] script that drew all of us to it. It was an avoidable tragedy, so it's very sad for everybody.” ) Weaving continued to express support for his director in subsequent interviews while downplaying any notion of rancor against Crowe, and has mentioned he'd readily work with Jocelyn Moorhouse several times since. Off to OZ nxt wk 4 #TheDressmaker with #KateWinslet #judyDavis #HugoWeaving #liamhemsworth #KerryFox Director Joss Moorhouse! Can't wait! I decided not to run with the news at the time for a few reasons, though the notion of Hugo signing to work with Jocelyn Moorhouse was more than credible: I couldn't find any corroborating details or confirmation, my schedule was punishing, and I have had mixed feelings about the project itself since it was announced. I didn't want to get emotionally invested until I had something solid to go on, because I have reported false leads before, at least once because a cast-member on a project made an honest mistake about a film she'd only just been signed for. (That particular film, a hijack thriller which changed names several times, was never made, and Hugo was never attached.) Then there's the whole saga of The Myth, which is far too long and frustrating to go into. 😉 I did have a peek at the film's official website, which brought to mind Darren McGavin's old line from A Christmas Story: "It's a pink nightmare!") 😉 I tend to be allergic to "chick flicks" and anything that takes "couture fashion" seriously, though longer synopses for the film offer more appealing hints at satire, revenge and character complexity. It's possible the film's website and Facebook design are meant to be tongue-in-cheek, but they could also just be marketing that may or may not accurately reflect the film's tone. At any rate, this wasn't a film I was necessarily dying for Hugo to be a part of– I needed confirmation and more information. Weaving’s Sgt. Farrat is the town’s police officer and confidant who has a secret passion for fine fabrics and cross dressing, a far cry from Weaving’s most recognizable role playing Agent Smith in The Matrix franchise. Since the Matrix days, Weaving has played an elf in The Lord of the Rings franchise, an anarchist in V for Vendetta, and a Decepticon in the Transformers franchise but this role might be the one furthest from his wheelhouse… Personally, I’m always a fan of adaptations if they’re done well and I certainly enjoy seeing actors come out of their shells a little bit, playing roles that I wouldn’t normally associate them with. The thing about Weaving, though, is that he always seems to play characters with something to hide. 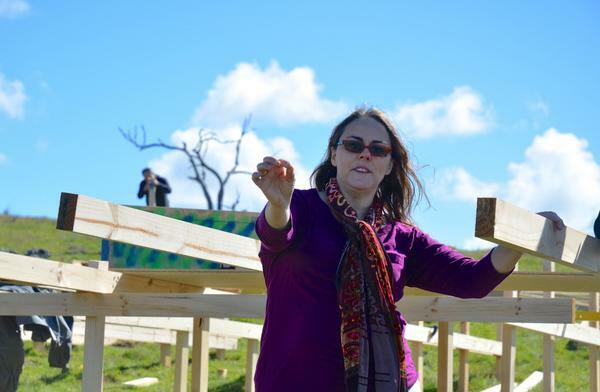 I’m interested to see where this project goes, especially if I get to see Weaving in a dress." A lot of you are probably cringing at some of those comments: has this person seriously NOT seen Priscilla, Queen of the Desert or Cloud Atlas? 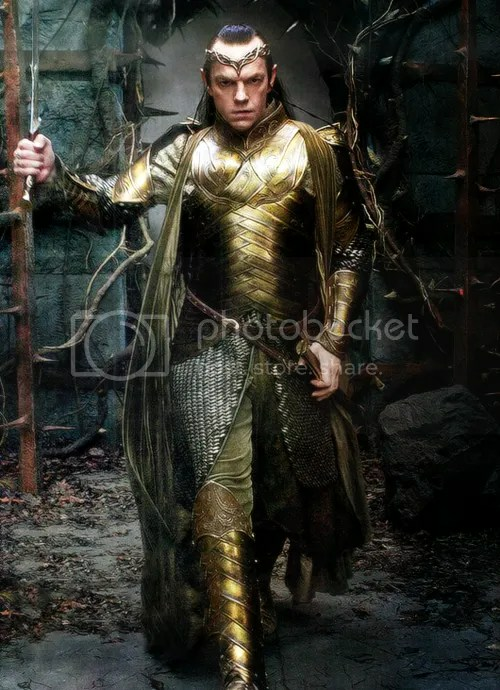 (Technically, Nurse Noakes is a woman, not a cross-dresser, but it is "Hugo Weaving in a dress"… some might even slot Elrond in this category, though long. flowing gowns are normal attire for both male AND female Elves.) 😉 Hugo has played gay characters at least five times too, none of whom were stereotypical or easily quantified. (Yes, I know not all cross-dressers are gay… this character's sexuality isn't mentioned. But, refreshingly he DOESN'T sound like the "gay best friend" character in too many rom-coms who's there for supportive chat with the heroine but has no discernible love life of his own.) As far as "characters with something to hide"… this pretty much describes every interesting character in every movie ever made. 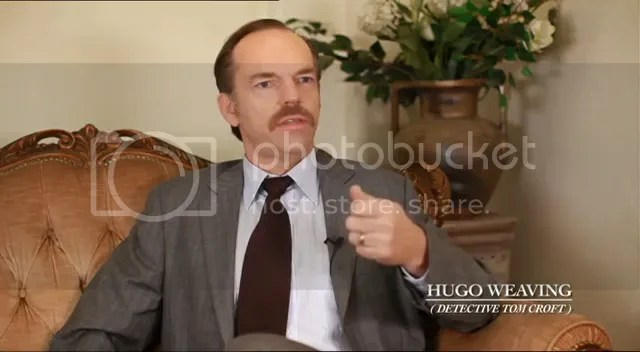 For me the draw is to see Hugo merge the two type-casting elements of his career (the obvious post-Jardine and, later-post Agent Smith conflicted authority figure with the "sensitive New Age guy" who dominated Hugo's mid-90s roles. For proof the latter was really a thing, read the first few sentences of this 1996 piece on The Bite, ) I'm more immediately intrigued by the "confidant" aspect than the "dress" aspect, as I already know Hugo looks smashing in a dress. But even that isn't something he's never done before (see also: Healing, in which Hugo's prison guard was also a confidant for Don Hany's troubled prisoner.) This would be an original admixture of quiet and flamboyant character traits, though, if the script delivers. And Hugo almost always chooses projects based on the scripts. I am a bit bothered by the presence of Liam Hemsworth, as I'm no great fan of any of the Acting Hemsworths, but if he's on this project to deviate from his standard, cliche-boyfriend Hollywood roles, he deserves the benefit of doubt. According to Film Victoria, The Dressmaker begins filming in a couple of days, on October 17, in Dungatar, Victoria. You can track its progress via Twitter, Facebook, its Official Website and author Rosalie Ham's production blog. The film is set in the 1950s and will be shot in mainly rural locations; so far most of the production reports have been about local extras casting and Sophie Theallet's hiring for the all-important costume designs job. The shoot will continue through early December, with a tentative release date set for October (1 October, per the website) next year. There have so far been no additional news items on Hugo's casting, nor have the official sites/social networking hubs been updated to mention him, but that should change soon. Rosalie Ham's source novel is widely available and has gotten a volatile mix of reviews from various book club circles, which encourages me more than a unanimous batch of raves would. (I'm not exactly part of the Chardonnay and Jane Austen set, myself) 😉 but a lot of Australian readers from sort of rural town depicted have said it's realistic if "somewhat exaggerated". Another plus: it's called "gothic" and "quirky" more than "romantic". 😉 So I'm trying to set all initial reservation aside and hope that the film's website design is either ironic or meant to lure the unsuspecting. Ditto the casting of Liam Hemsworth. The latter has already led to "top secret" status for the specific filming locations to thwart flocks of eager young girls. This means we'll probably get most of our inside looks at the filming process from the film's official web presences rather than the media, which is probably for the best. No word on when Hugo will appear on set or how large his role is yet, but if this project has crossover appeal and the role is as juicy as it sounds, it might be the sort of project that finally gets Hugo major international awards consideration. ABC Radio features an audio interview with some of the creative team. @themulemovie @AngusSampson I've seen a screener. I feel sick just thinking about it. Brilliant. Just went to see The Mule in the London Film Festival. Great film but that is the first time I have ever physically retched in a cinema. Saw Australian film The Mule, part of #LFF. It is very funny but very dark. Definitely worth checking out when it is on general release. Was privileged enough to see @themulemovie last night for #lff. Congrats to @angussampson and the team. Too many good lines (and songs). 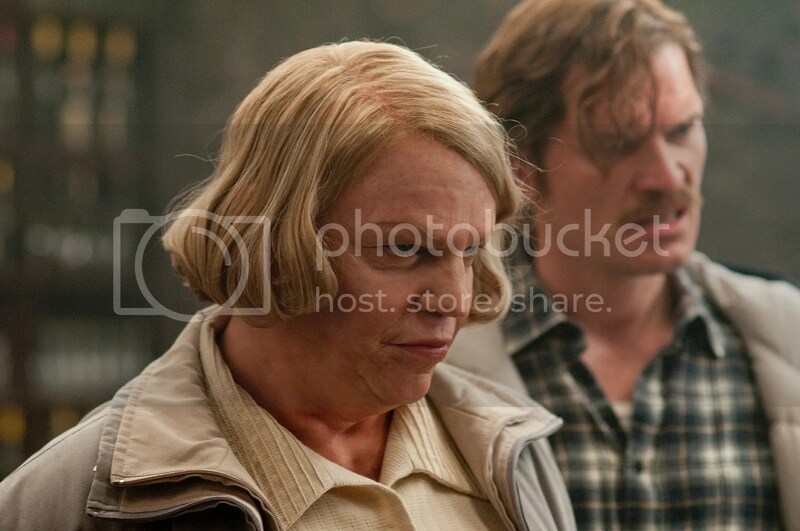 Another winner from down under @BFI London Film Fest: @AngusSampson's @themulemovie. Manny Gets Censored will have a UK screening in York at the Aesthetica Short Film Festival (ASFF) November 6-9. More details at The Yorker. Finally, Mystery Road will at long last be officially released on DVD/Blu-Ray in the US via Well Go USA. Unfortunately they've apparently decided to forgo any theatrical release whatsoever (apart from the film's handful of festival screenings over the past year)… which is a real shame. Netflix will have the physical DVD available for rental, but thusfar hasn't announced any streaming plans. The film will be available for rental/streaming via cable On Demand on 14 October.